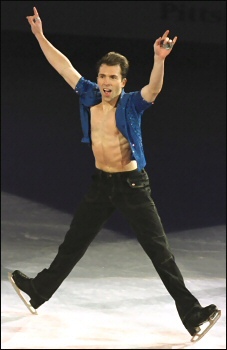 Veteran U.S. figure skater Michael Weiss has a busy scheduled planned for 2004-2005. The Michael Weiss Foundation (MWF) will provide Olympic eligible United States figure skaters with financial support to assist in all facets of training and competition with an emphasis on continuing their education. The Foundation awarded three scholarships and two Wachovia Securities Diamond Performance Awards in 2004. If all goals are met in terms of fund raising, the MWF plans on awarding five skaters with $5,000 awards in the Spring of 2005. In previous seasons, Weiss has won two bronze medals at Worlds, never finishing lower than seventh. 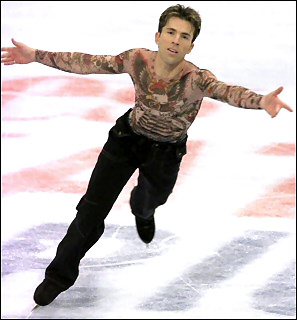 He won another bronze at the 2001 Four Continents Championships, placed third at the 2003 ISU Grand Prix Final, and finished seventh twice at the Olympic Games. He was also the 1994 World Junior men’s champion. Weiss comes from an athletic family. His father Greg was on the 1964 Olympic gymnastics team, his mother Margie was on the U. S. national gymnastics team, and oldest sister Genna is a six-time Junior World Champion in diving. Older sister Geremi is the other figure skater in the family, winning the U. S. Junior ladies silver medal in 1990 and the Merano Cup in Italy, and competing at St. Gervais and Oberstdorf . Weiss followed in the footsteps of both older sisters, becoming a regional diving champion as well as a figure skater. His gymnastics and diving background are evident in the tight rotations of his jumps and controlled landings. “I train when the kids are at school,” Weiss continued. “Annie Mae is in kindergarten and Christopher is in pre-school. I get them up and make their breakfast, make sure they brush their teeth, make them dinner, and put them to bed. I like to do all the little things that make them know you.” He was named Father of the Year by the National Fatherhood Initiative in 1999.